HuberCal pure calcium carbonate offers you a higher calcium carbonate assay, typically greater than 99%. Huber Health & Nutrition is busy preparing for this year’s IFT Annual Meeting + Food Expo, which is less than four weeks away. We will be managing booth 3525 at Chicago’s McCormick Place South. We invite you to stop in and learn more about our high-performing HuberCal® pure calcium carbonate and oyster shell food grade products. HuberCal gives you a higher calcium carbonate assay – typically greater than 99%. This degree of purity is why food companies have come to rely on HuberCal for their natual calcium carbonate formulations. 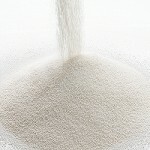 To learn more, visit our website at http://www.hubermaterials.com/products/health-and-nutrition/hubercal-powder-calcium-carbonate.aspx or contact us today! See you soon in beautiful Chicago!